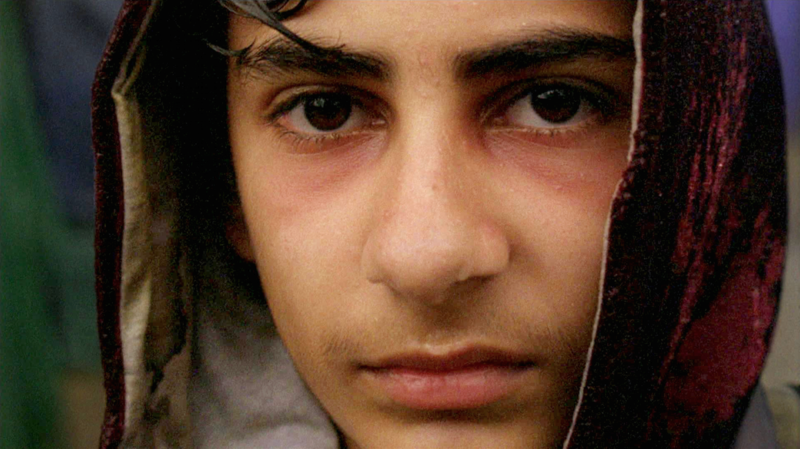 Writer/Director Vika Evdokimenko ‘s short film Aamir (which we reviewed here), tells the story of a 13 year old boy, stranded alone in one of Europe’s unofficial refugee camps, whose relationship with a British volunteer worker provides him with a much needed hope in the midst of a desperate situation. A perfect example of talent going hand in hand with intelligence, we spoke with Evdokimenko about her work, her personal connection to the refugee crisis and her process as a writer, director and producer, as she prepares to attend the BAFTA ceremony, where Aamir is nominated for Best Short Film. Firstly, congratulations on Aamir, it’s a beautiful film, and also congratulations on the BAFTA nomination. You must be very proud of the film. Thank you! Yes, I’m really proud of our cast and crew and relieved that our work paid off! It always feels like a minor miracle when a film project comes together. I’m thrilled that people are connecting with it! In reading up about your work, I see that you yourself came from a refugee background. Did that make this film a personal journey of sorts? My parents left Russia in 1991 after the collapse of the Soviet Union. They had spent most of their adult lives living behind the iron curtain and I think they were excited to see what lay beyond. So I guess we were more ‘economic immigrants’ than refugees (though I think it’s never a cut and dry distinction). I emigrated to Northern Ireland under my parents’ wing, always feeling safe and cared for. So my journey was very different to those of the unaccompanied children fleeing war zones whose stories Aamir is based on. That said, I can definitely relate to the feeling of being a fish out of water in a new and unfamiliar place, feeling isolated because of a language barrier and feeling culturally alien: I was unable to speak a word of English on my first day of school in Belfast! The young people I spoke to in Calais took incredible risks and endured unimaginable hardships on their own, often having to trust the kind of strangers that should not be trusted. They thought they were struggling to reach safety and so it’s a horrifying and cruel twist that instead they found themselves in the largely anti-immigrant Europe of today. When did film-making become your medium of choice? Were you inspired by certain filmmakers? I grew up watching a handful of Russian-pirated VHS’s that my parents brought back from their trips to Moscow. It was a pretty eclectic collection that included a handful of Disney classics, some Soviet comedies, many screen adaptations of Broadway musicals (Jesus Christ Superstar was my favourite) and a few thrillers like Silence of the Lambs which I first watched aged 9! These Russian VHS’s were dubbed by a disinterested Russian male voice who would read all the characters’ parts in monotone. I loved watching them on repeat not really taking in the story but more listening to them like pieces of music. I re-discovered film in my late teens when I accidentally ended up at the London film festival screening of Jean-Luc Godard’s Éloge de L’Amour. I took a film studies class in European cinema at uni and fell in love with Agnes Varda, Julio Medem and Tarkovsky. 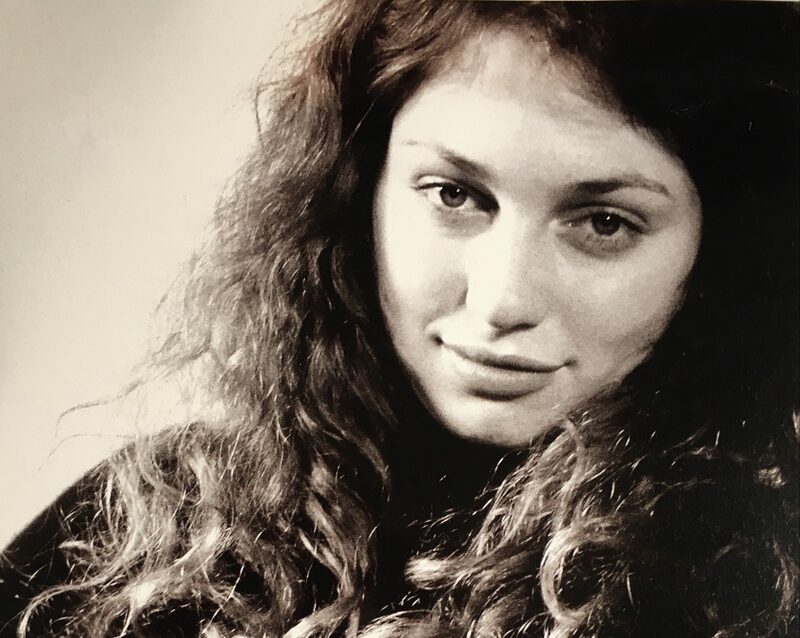 Shortly after I joined a filmmaking club tied to one of the science departments at Cambridge and made my first documentary. I guess that’s when I really got hooked. I’ve been inspired by too many filmmakers to list here, but specifically for Aamir I think the biggest influences were Jacques Audiard and Elem Klimov. I love how films like Dheepan and Come and See mix the real and surreal to communicate the deeper, subjective truth of their characters. Aamir is an intimate drama about a large scale problem. Given that you state at the beginning, that the film is based on true events, what was the starting off point for writing the script? In the winter of 2016 my co-writer Oliver (Shuster) and I came to volunteer in the Calais ‘Jungle’. At the time it was Europe’s largest unofficial refugee camp. It has since become synonymous with the worst of Europe’s refugee crisis. I ended up volunteering at the L’Auberge warehouse while Oliver worked with a build crew that repaired shelters in the camp. One day he returned with a story of a 13 year old Afghan boy who he met that day. The boy had been driven to despair in his search for a door to his shelter so he could feel safe. Government assistance was absent from the camp and it was a purely volunteer-run, and donation-based effort, so the volunteer build crews had been unable to solve his problem for days. The deeply disturbing look in this boy’s blood-streaked eyes belied his 13 years and made his age impossible to guess: he had seen unimaginable horrors. In his sleep-deprived desperation, he pulled a small knife on the build crew. No one was hurt and the standoff was defused by a cool-headed, experienced volunteer. Oliver admitted to feeling a little uneasy as he was sent off to install the door for the young man. But as they talked a little over the next hour or so, Oliver caught small glimpses of the normal boy behind those hard eyes: he wasn’t violent, he was desperate. What was he to do? He’d travelled from Afghanistan, on his own, in part on foot, to find himself here. A place where simple human hopes are heartbreakingly fragile, and where dreams of getting to safety can feel further away than ever. As we spent more time in the camp Oliver and I heard stories similar to his repeated again and again. We left the camp with the unsettling realization that the well-meaning and inspiring volunteers were up against a crisis of global proportions and were ill-equipped to deal with such a humanitarian disaster. The boy’s story stuck with me. His desperation for something so simple as a plywood door with a twenty pence padlock seemed to encapsulate a whole lot about the refugee crisis in a simple visual metaphor. Throughout the process it’s been important for me that the film is factually accurate and presents an intimate and largely unseen ‘slice of life’. It was important to make sure the faces and languages that populate our film were representative of those seen and heard in Calais. We wanted to evoke something real while making a commentary on the larger scale issues. Do you see yourself as a writer first, director second, or does it depend on the material? Energetically directing definitely comes more naturally to me. It’s high energy, adrenalin-driven yet simultaneously deeply zen! Writing, on the other hand, is more solitary and contemplative, almost like going into a prolonged state of hibernation or lucid dreaming. But for me, as a director starting out, it’s really important to write because it means I can create your own material and therefore my own opportunities. I’m lucky to have such a great writing partner as it definitely speeds up the process to be able to bounce ideas and pass things over to someone you trust if you’re stuck. The film has a hand held style. Did you storyboard at all? This was my first film we were able to fully storyboard. Oliver trained as an illustrator and so he produced some beautiful drawings for the film. For each scene we had a shot list, a bible of storyboards and copious reference images that hugely eased communication with our HODs and I hope helped to make my (much more experienced) collaborators feel that I was taking the work we were doing together seriously! Your DOP on Aamir was Robbie Ryan, who shot American Honey. How closely did you work with him? I could not have wished for a more generous, talented and fun partner in crime than Robbie. He taught me to assert myself (“Vika, don’t be afraid to be a c**t – you’re the director!”). He taught me the benefits of shooting a scene in chronological order, and gradually managed to train me to always move forward, never back (I had a bad habit of coming back to scenes that were supposed to be wrapped!). He agreed to seven shoot days (very generous for a short) and even volunteered to do a pickup several weeks later. If that wasn’t enough, he also donated 50 reels of 16mm film! We were insanely lucky to have him jump on board: Robbie’s just the best! One would imagine that filming in the ‘Jungle’ was challenging. What was that experience like? Before spending time in the ‘Jungle’ the image of a refugee camp in my mind was of tidy rows of whitewashed, UN sponsored tents. The ‘Jungle’ was nothing like this. It was a muddy shanty town of makeshift shelters built on a dirty landfill site next to a chemical factory. The stench from the factory was unbearable. The constant mud underfoot and grey skies overhead were a depressing backdrop to the poverty. To keep warm at night people would often burn plastic in makeshift fire pits that let off a toxic black smoke. Having said that I was also amazed by the ingenuity, resilience and generosity of the ‘Jungle’s’ residents. Shelters were often grouped together in little hamlets creating courtyards where people would gather to drink tea and eat together. Despite the adverse conditions, refugees in the camp somehow managed to hold on to their sense of community and hospitality. On so many occasions we were invited for meals in people’s shelters and they would share with us delicious meals they had somehow managed to put together on tiny camping stoves. The ‘Jungle’ was also full of restaurants where for a few euros you could eat a warm curry and watch middle eastern MTV. There were several schools, mosques, an Ethiopian orthodox church and even a theatre organized by British volunteers. I was amazed by how 15 nationalities (normally a refugee camp has no more than 3) were able to coexist in such a place, though unsurprisingly, ethnic tensions and violence did often break out in the camp. How do you gain access to such a place? Were there any restrictions? I had been back and forth to the ‘Jungle’ through the first half of 2016 to deepen my research and figure out how and if it might be possible to make a narrative film in the camp. But on our first recce with our HOD’s, our DP Robbie commented that the ‘Jungle’ felt like a tinderbox: some days it was quiet and calm but at the slightest provocation it could go up in flames. This is exactly what happened the weekend before we were supposed to head to Calais with a 20 person crew and our child actor. On May 28th a fight between the Afghans and the Sudanese broke out in a queue and spread through the camp like wildfire. Very sadly, someone was shot, three volunteers were hurt, and dozens of refugees were injured. By the following morning the Sudanese section of the camp where we had planned to shoot had burned down. Our story has scenes involving knives and fire and so we decided that the responsible thing to do would be to shoot these more complex scenes on a set. When we did go into the ‘Jungle’ to shoot it was with a skeleton crew and accompanied by community leaders and volunteers from local charities who were there to make sure the camp’s residents were aware of our presence and intentions. We were very conscious that the ‘Jungle’ wasn’t just a ‘location’. We were going into people’s homes and it was on us to be respectful and to not objectify the refugees whose lives we were trying to depict. In researching the film, I read that you had planned to use a real child from within the refugee camps. Is that correct? When we started pre-production we wanted to cast an unaccompanied child refugee from the ‘Jungle’ to play Aamir. But we soon found it was impossible. The children we talked to there were deeply traumatized by what they had been through. Obviously they weren’t trained actors and it seemed hugely unfair to ask them to relive the traumatic experiences that must have been so raw in their minds. Even more disturbing: every time we’d return to the camp we couldn’t track down the same children we’d spoken to on our last visit. They kept disappearing. These kids were so desperate to leave the camp, every night they would try to escape, some turning to smugglers, others risking their lives boarding lorries headed for the UK unassisted. If anything, this first, failed attempt at casting reiterated quite how much this story needs to be told. We finally found our Aamir in one of the open casting calls organized by our casting director Kharmel Cochrane in London. Alan (Assad) blew us away in his very first audition. There was a darkness and maturity to his performance that I couldn’t have hoped for from such a young actor. I remember he was wearing braces and I was praying that his parents would agree to remove them so we could cast him. Thankfully they did! Alan is the son of first-generation Kurdish immigrants from Iraq, and his parents Layla and Razi were instrumental in helping us navigate cultural nuances to develop Aamir’s character, and Alan’s fluent command of Kurmanji helped him bring another layer of authenticity to the role. The chemistry between Alan Asaad and Jasmine Blackborow (as volunteer Katlyn) is wonderfully natural. What was the rehearsal process like? Thank you, I think they make a great duo too! Because the film has so little dialogue (due to the language barriers involved) it was mostly about Aamir and Katlyn having the right energy on screen. But casting the right actors is always half the battle! A Lot of the prep we did with the actors was about finding their characters’ backstories, body language, getting quite specific about their given circumstances in each scene, and developing Aamir and Katlyn’s internal lives. I’m not a big believer in pre-rehearsing scenes from the film because they quickly lose their freshness. Is the film doing the festival circuit? Where can people see it? The film is just beginning its festival run. We had our UK premiere at the London Film Festival last October and are waiting to see where on the festival circuit it will play internationally. We’re also lucky to have received distribution for the film through BAFTA and it will be available on VOD and in Curzon cinemas across the country from the 7th of February 2018. If people are interested in seeing it, they can follow the film on Facebook @AamirFilm to receive news of upcoming screenings. And what has the reaction been so far? As one would expect, most audiences have found watching Aamir a challenging experience. But it’s been really encouraging to hear that they have also found it thought provoking and many people have been really moved by the film. One would imagine you hope that the film will start conversations about the refugee crisis. Given that the mass media has stopped talking about the issue, do you feel, as an artist, there is an obligation to tell these stories? It was definitely my hope that the film could serve as a conversation starter about the refugee crisis, especially among people who don’t already agree on this issue. I hope that by not sanctifying Aamir and presenting him instead as someone who can get angry and frustrated like the rest of us, more people would be able to relate to the character. The idea with this project was to not just to preach to the converted but to also try to engage with a more centrist or even right wing audience in the hope that they too might be able to empathise with a young person like Aamir. It’s quite difficult to make ‘issue based’ films because film, by its nature, takes a long time to produce and you hope that by the time you’re done with it, it will still be relevant! But on the flip side, unlike journalism, films don’t have to be subject to the news cycle. As a narrative filmmaker you also engage with the issues differently. We wanted the film to be true to life but recognized that it also needed to take poetic liberties so as to communicate a deeper truth and humanity in the story. It’s frustrating that the refugee issue is no longer as foregrounded in the media, especially given that nothing has been done to resolve the situation which has only been worsening. 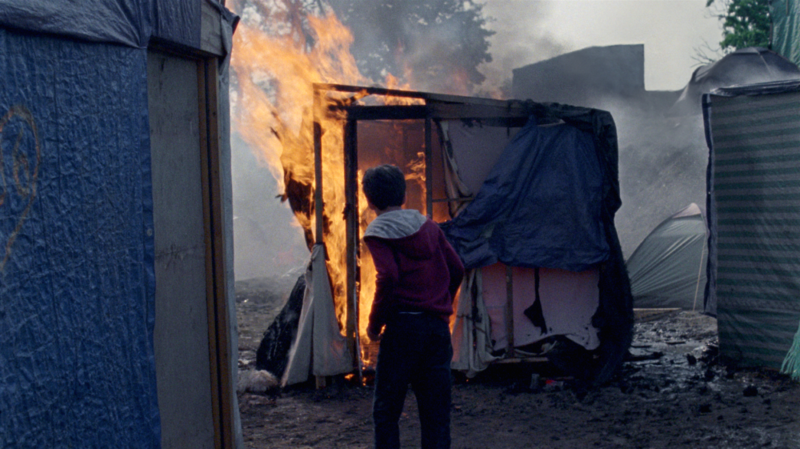 An amazing report was published in October 2017 by Refugee Data Project called “Twelve Months On” giving a comprehensive account of the state of refugees and specifically unaccompanied children in the Calais area 12 months since the demolition of the ‘Jungle’. It’s striking how bad the situation remains but how little has been written about it recently. Do we know if anyone within our government has seen it, or if they’ve had a reaction to It? I don’t know if anyone within our government has seen it but it’s been really encouraging to see charities and grassroots groups around the country start to organize their own screenings to raise awareness and find ways to act on the issue. I’d really welcome partnerships with charities. Given that this is such a political issue, while winning hearts and minds, it’s also about bringing these issues back into mainstream political debate. This problem will not resolve itself and cannot be ignored. We’re losing young people to the very worst fates imaginable, right on our doorstep. It is a blemish on our national conscience. Speaking of media attention, as a female film maker, have you felt a shift in the wind in terms of opportunities for Women in Film, given the current climate of change in terms of equality, pay or box office? I’ve only been working for about 10 years so it’s hard for me to have much perspective on how things have changed. When I was just starting out I was lucky to be given opportunities like Film London’s company placement scheme (a paid internship program at the heart of the industry) which wasn’t gender specific. It’s amazing that in the UK, organizations like Skillset give so many people from diverse backgrounds access to opportunities in film. Now more than ever, specific initiatives and organizations are popping up to bring more women into top HOD roles: Free The Bid, The Alice Initiative, Film Fatales, #FemaleFilmmakerFriday, Gamechanger Films to name just a few. Having said that, taking a look at the figures is still absolutely shocking. The Celluloid Ceiling (a survey that has tracked women’s employment on top grossing films for the last 20 years) found that in 2017 women comprised just 18% of all directors, writers, producers, exec producers, editors and cinematographers working on the top 250 grossing films. This figure is virtually unchanged from the percentage achieved in 1998. So this is a very slow moving train. The gender imbalance in film might take generations to fix because filmmakers are not made overnight. Does the BAFTA nomination sit well with you, or are you focused more on upcoming Projects? Haha, yes it sits pretty well with me! It was a total surprise but it’s come at a very opportune moment because Oliver and I have lots of projects ready to get off the ground. Finally, can you tell us what your next project is going to be? Our next project is a feature about a father and daughter who disagree on everything from politics to ice cream flavours but find themselves trapped in a taxi bound for the airport. It’s a comedy drama about our (in)ability to listen to one another and a kind of absurdist allegory of our polarized world of media bubbles and short attention spans. It’s a kind of Locke meets Toni Erdmann and we hope to go into production in autumn 2018. Aamir will be available on VOD from February 7th. The BAFTA Ceremony takes place on Sunday, February 18th.